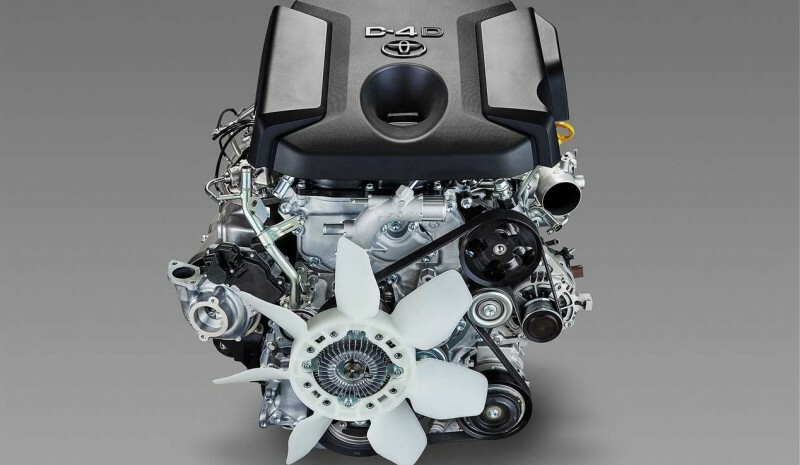 Toyota has gone further details of the new family Diesel engines technology Swing Thermo Insulation Technology (TSWIN its acronym in English), which improve efficiency around a 15 percent, and increase the torque by 25 percent. these new Toyota turbodiesel engines TSWIN also they have the system Selective Catalytic Reduction (SCR) with special additive AdBlue, a technology that reduces levels NOx (nitrogen oxides) up to 99 percent. 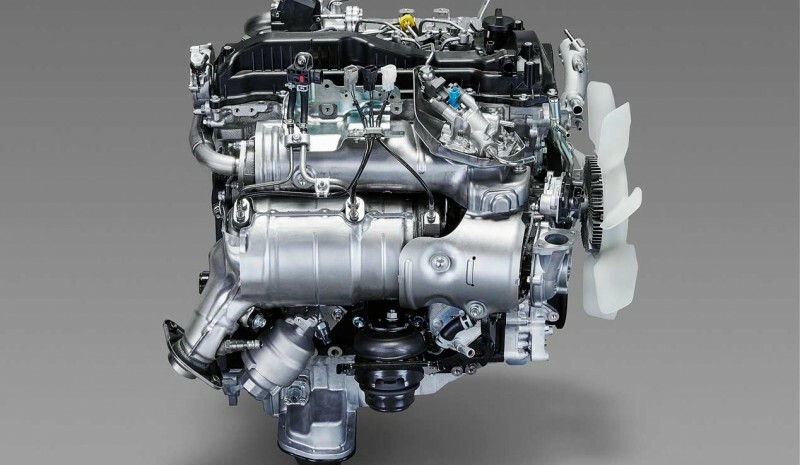 The new ones TSWIN turbodiesel engines direct injection Toyota They are 2.8 1GD-FTV and 2.4 2GD-FTV. In the case of 2.8, it achieves maximum thermal efficiency of 44 percent, provides a yield of 177 hp and maximum torque of 45.9 mkg 1,600 to 2,400 rpm (25 percent), while in terms of fuel consumption which is reduced by 15 percent. 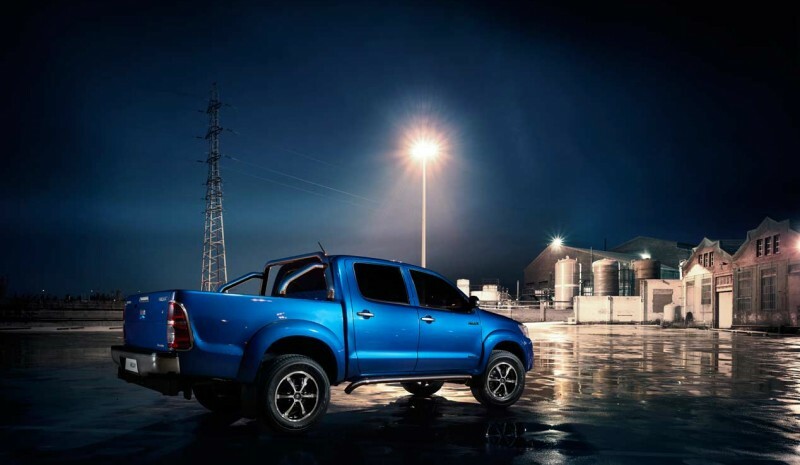 In the case of the new 2.4 turbodiesel Toyota TSWIN, it develops a power of 150 hp and maximum torque of 40.8 mkg between 1,600 and 2,000 rpm. The motor 2.8 TSWIN from Toyota and it is available in the new Hilux (introduced in Thailand in May this year) Land Cruiser Prado (Recently released in Japan). 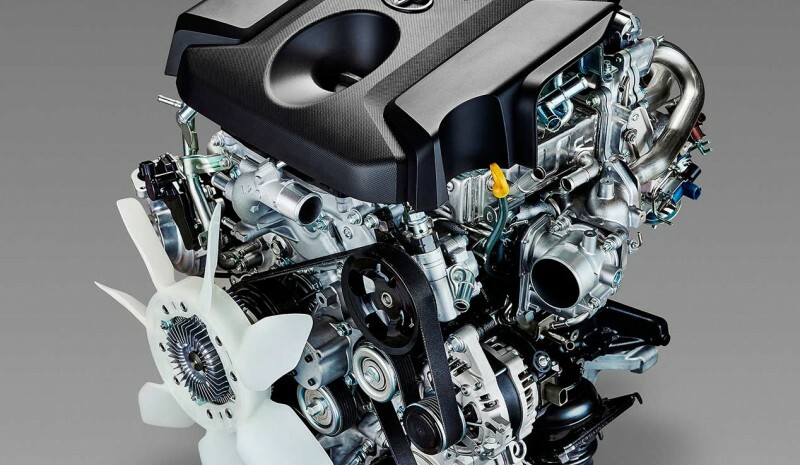 In the technical guts of TSWIN system turbodiesel engines Toyota It emphasizes the use of anodized aluminum porous silica reinforced (Sirpa, its acronym in English) in pistons, which reduce cooling loss during combustion by approximately 30 percent. This composite provides high isolation Sirpa both to cool excessively as to overheat (thus provides the optimum operating temperature). For his part, Variable Geometry Turbocharger both engines 2.4 and 2.8 It is up to 30 percent smaller than the one used in previous similar engines. The turbine is newly developed and a response faster and instantaneous, as well as allowing the maximum torque available at a higher speed range acceleration occurs. According to preliminary estimates, Toyota It manufactured in 2016 nail 700,000 units of these new turbodiesel 2.4 2.8 GD and GD TSWIN family of engines. Approximately in 2020, these engines will be available in about 150 countries. Remember that in Europe, Toyota plans to incorporate the new engines 1.6 D-4D and 2.0 D-4D origin BMW car in its range (the Avensis Verso and, for example, already have one of these engines). Vad är varumärket ‘premium’ världens mest sålda?